Jihad Watch : No one will pay any particular attention to this. But just imagine the international outcry had the roles been reversed. This would be front-page news for weeks. That in itself demonstrates that the establishment media is more interested in pushing an agenda than actually reporting events. “‘Muslims were calling Christians f***ing dogs’: Inside the Liberal Party’s violent ‘religion-fuelled street brawl’ – that erupted outside a Sydney charcoal chicken shop,” by Stephen Johnson, Daily Mail Australia, June 19, 2018: "A violent confrontation erupted outside an Islamic-owned charcoal chicken shop as Muslim men allegedly hurled chairs at a Christian during a Liberal Party brawl. A witness, going by the name of John, claimed he saw violence on the main street of Arncliffe in Sydney’s south on Monday night, where a Christian man was stomped on and an elderly woman was punched and thrown to the ground. 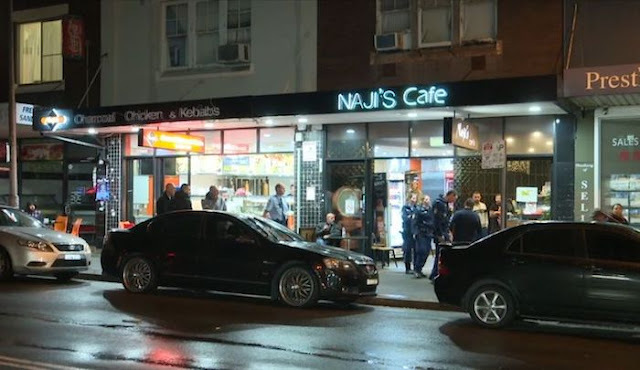 The violence started inside a cafe and charcoal chicken shop owned by a Muslim businessman and Liberal Party councillor, Michael Nagi, and has been connected with a factional dispute within the conservative party.